A wiring assembly and wire repair tool kit that includes three specialty ergonomic hand tools for cutting wire, slitting cable jacketing, and stripping wire has been introduced by Xuron Corp. of Saco, Maine. 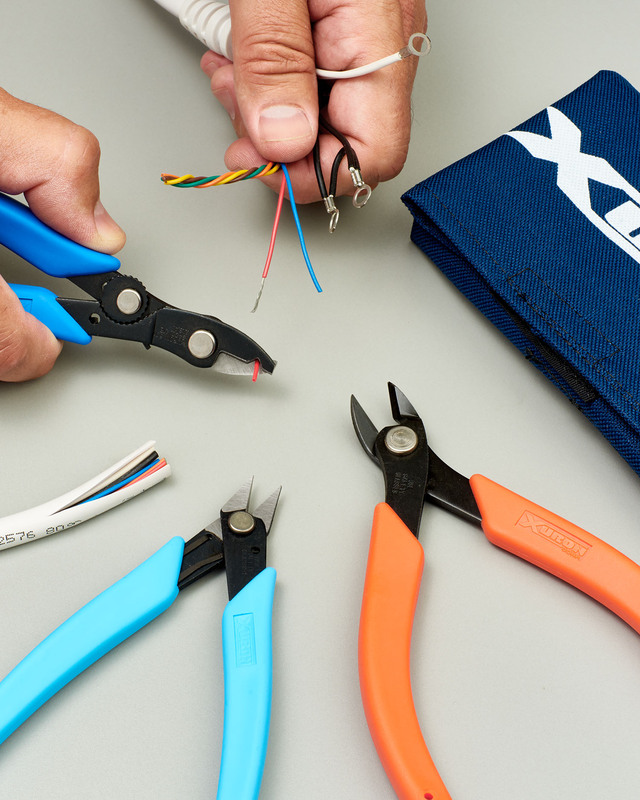 The Xuron® TK2300 Wire Technician Tool Kit includes three tools used for the majority of wiring tasks during assembly and field service operations, regardless of industry. Featuring soft rubber hand grips, a Light Touch™ return spring, no finger loops, and a non-glare black finish, these ergo-nomic tools include a wire cutter, slitter, and adjustable stripper-cutter. Supplied in a trifold canvas pouch that fits into a tool box, pocket, or brief case, the Xuron® TK2300 Wire Technician Tool Kit includes the Model 2175 Maxi-Shear™ Flush Cutter for soft wire up to 12 AWG, the Model 440 High Precision Shear for slitting coaxial cable jacketing, and the Model 501 thumb adjustable wire stripper-cutter for wires from 10 to 26 AWG. The Xuron® TK2300 Wire Technician Tool Kit is priced at $56.95 (list). A product catalog is available upon request.